The JLB Beeson Community Fund seeks to fund projects addressing the health, safety, education, financial stability and well being of women and children in the Birmingham area and those promoting arts & culture, research, volunteerism, advocacy and the training of women. 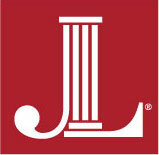 The JLB Beeson Community Fund is charged with making grants to nonprofit organizations, programs and projects to further the stated mission, beliefs and objectives of the Junior League of Birmingham (JLB). Grant making encompasses open and invitational grants. The minimum grant request shall be $25,000. Emphasize areas of community concern based on data received from relevant needs assessments like Kids Count Data, Alabama Maternal and Child Health Needs Assessment or the United Way Needs Assessment. Build capacity as opposed to continuing operational expenses. The JLB Beeson Community Fund considers grant applications only from nonprofit organizations that have tax-exempt status under Section 501(c)(3) of the Internal Revenue Service Code. Requests from large organizations with many branches or departments must come through the organization’s President’s office or the Development Office. Wednesday, July 18, 2018: Information Session – Held at the Junior League of Birmingham (2212 20th Avenue South, 35223). The Letter of Interest (LOI) application will be accessible starting Wednesday, July 18. Any questions can be addressed to Katy Eldridge, 2018-2019 JLB Beeson Community Fund Chair, at: beesonfund@jlbonline.com.